Since childhood we are familiar with great books of Jules Verne and his world of dangerous travels and brave desperate heroes. And with no doubt ‘Twenty Thousand Leagues Under the Sea’ story is one of his best works. So it is clear why Microgaming chose it when decided to expand its slots collection with underwater adventures. Thanks to this online gambling software giant we now have the way to explore hidden sea treasures. All are welcome to refresh your summer with the Leagues of Fortune slot. Clearly the slot is created in Verne marine traditions, with tribute to Captain Nemo and Nautilus. The players who join it will find themselves immersed into the enigmatic sea depths with the mission to collect winning combinations and make the real fortune. Submarines, maps, various nautical supplies and Captain himself on top on other symbols are reflected on the slot’s five reels. Careful attention to details, nice graphics and music make this slot one of good perspectives when you think on what you want to play this summer. The game reminds on the Tomb Raider game somehow, probably because of its general atmosphere of exciting adventure. The travelers who decided to come onboard we have some rules, hints, and tricks to spare. All of these might be needed to stay alive in the sea, fill your pockets and have fun of course. League of Fortune is a five reel slot with more winning opportunities than ever, namely 1024 Ways. It has all the basic features like Wild Symbols, Scatters, Free spins with 3, 4 and 5 times multiplier, etc. The trophy you can get during the basic game is rather high. 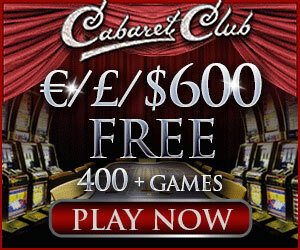 Still if you do want to earn a lot, you really need to risk and discover Your special Gamble bonus game. To begin with you will have 1024 ways-to-win in most games. So your good luck will have some excellent support from Microgaming here. The game will suit players who prefer low or medium sized bets due to betting range between $ 0.50 and $10 only. The Logo of the Leagues of Fortune is a Wild one substituting regular symbols to have winning combinations. If you locate the huge Chest of treasures anywhere on the reels, which is a Scatter symbol, you are lucky to activate free spins bonus game. The Leagues of Fortune also includes the excitingly feature called ‘Your Gamble’. This option is a relatively new for online slot machines. It gives a chance for the player to select his own betting odds by choosing how large the blue winning sector of the Globe is. The bigger the blue sector is – the more the gambler wins. The game loads fast and so such best Microgaming casinos as Red Flush or Ruby Fortune will see loads new players coming to their site for the Leagues of Fortune slot.